Jerseys and Socks can no longer be ordered on-line. A limited number of Jerseys and Socks will be available for purchase on the day of the event at Check-in. 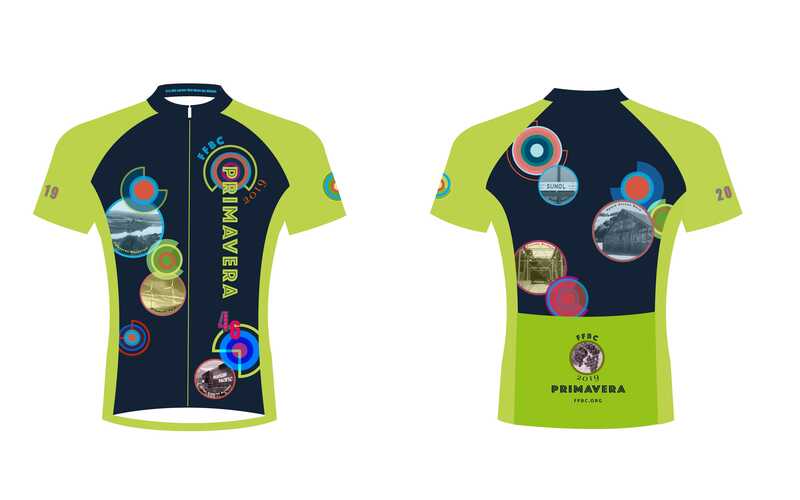 Some Jerseys, Arm warmers and Socks will also be available from prior year Primavera events. Click Here to see Jersey full image Click Here for Jersey Sizing chart. This design creatively highlights sights and landmarks along the Primavera route: Calaveras Reservoir, wind turbines of Altamont Pass, Niles Canyon Railway, Sunol Train Depot, “The Barn” at Palomares and more. Click here to see Socks full image Click here for Socks Sizing Chart. 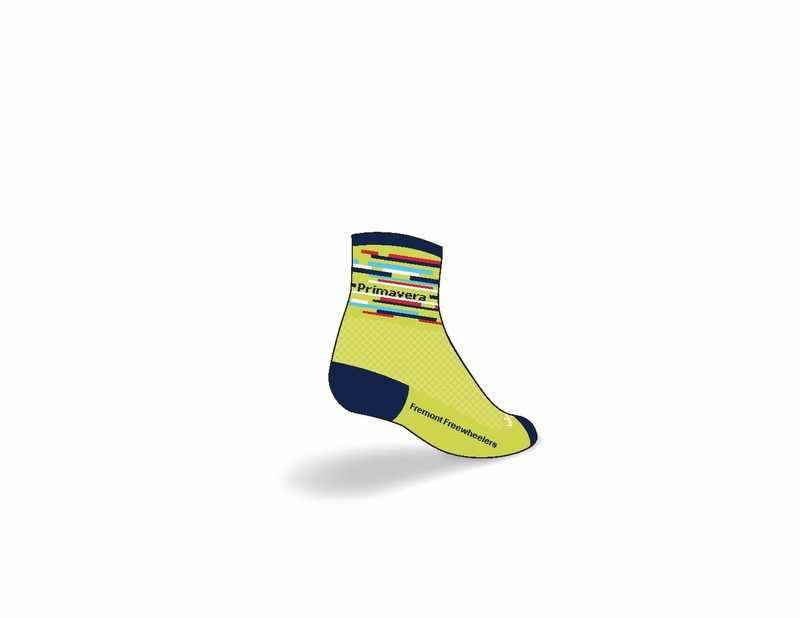 Socks are available for $10 per pair. The pictures may not show it but the sock colors match the jersey colors. For reference colors are: chartreuse (body)/navy (toe/heel); red, navy, white, aqua (cuff).